Walt's Bar (not to be confused with Walt's Barn) just opened in Eagle Rock. I don't live closeby, or drink alcohol. And I can't eat hot dogs on gluten-filled buns anymore. But I do play pinball. So we met up with our friend Sam this past Sunday afternoon to check it out. This place has my heart. I love everything about it, including the bathrooms. I spotted veggie dogs on the menu, and actual dogs on the floor. Also, hot nuts. Abe ate the hot nuts. 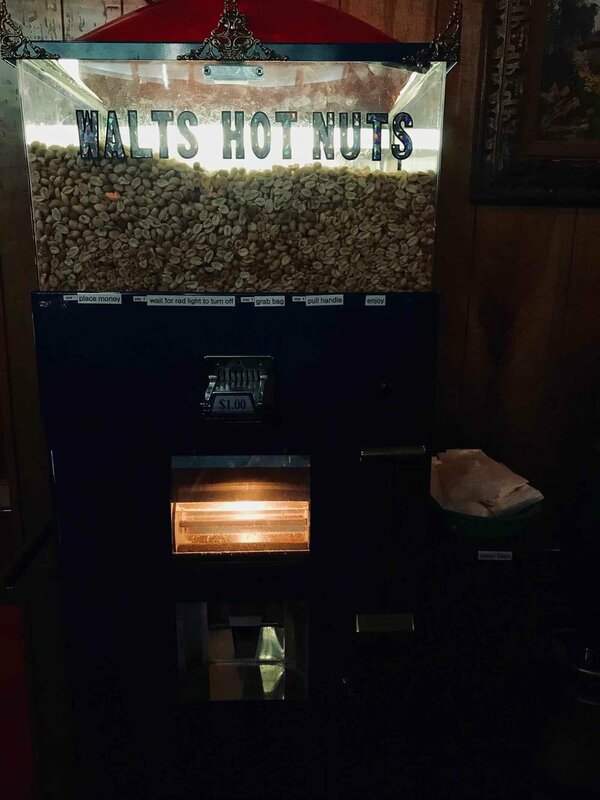 Hot nuts.